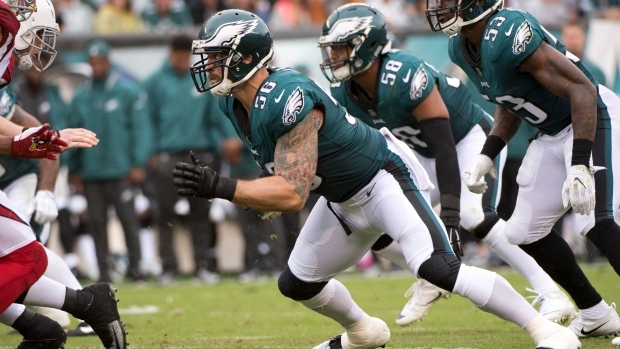 Philadelphia Eagles defensive end Chris Long has won the Good Guy Award from the Professional Football Writers of America for his consistent co-operation with the media. The Good Guy Award is given to an NFL player for his qualities and professional style in helping pro football writers do their jobs. The award has been presented annually by the PFWA since 2005. Long was nominated for his availability to local and national writers on a consistent basis and his offering of thoughtful answers on a variety of topics, both on and off the field. "Whether it was the Eagles defence, the team's underdog status, the unrest in Charlottesville, his philanthropic endeavours, or his involvement in and support of social justice issues, Long's insight and perspective were appreciated during his first year in Philadelphia," said Zach Berman, who covers the Eagles for the Philadelphia Inquirer/Daily News/philly.com. With the Eagles' victory over New England in the Super Bowl in February, Long became one of just four players in NFL history to appear in back-to-back Super Bowls on different teams and win both.